Caciotta is commonly used as a table cheese, it should be eaten fresh or cooked in your favourite dish. It is a very versatile cheese that can be used in many different ways. Because of its creamy and soft characteristics, Caciotta is perfect to use for cheese fondue. Caciotta Cheese Fondue is an easy crowd-pleasing recipe. It is perfect for a romantic date night, a ladies night or for an evening where you just want to pretend that you are sitting in a chalet in southern France, while sipping on bubbles. For this recipe, you'll need a fondue pot, your favourite skewers, and a hand mixer (optional). Pairing Suggestion: Enjoy with your favourite bubble or chardonnay. Serving Suggestion: You can serve this with toasted breads, soft or hard pretzels, assorted veggie platter and your favourite fruit, e.g. apples, pears, figs, etc. 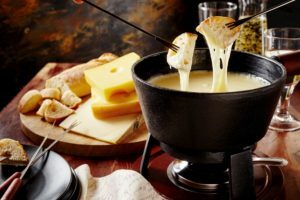 • Add all the ingredients in your favourite fondue pot until it is completely melted. Tips: To keep the cheese creamy and smooth, stir the dippers in a figure-eight movement. A heavy enamel fondue pot helps prevent the cheese from burning on the bottom. Caciotta can also be cut into cubes and used in salad, served with a slice of toasted bread, fingerling potatoes, sautée mushrooms or cooked in your favourite pasta dish. 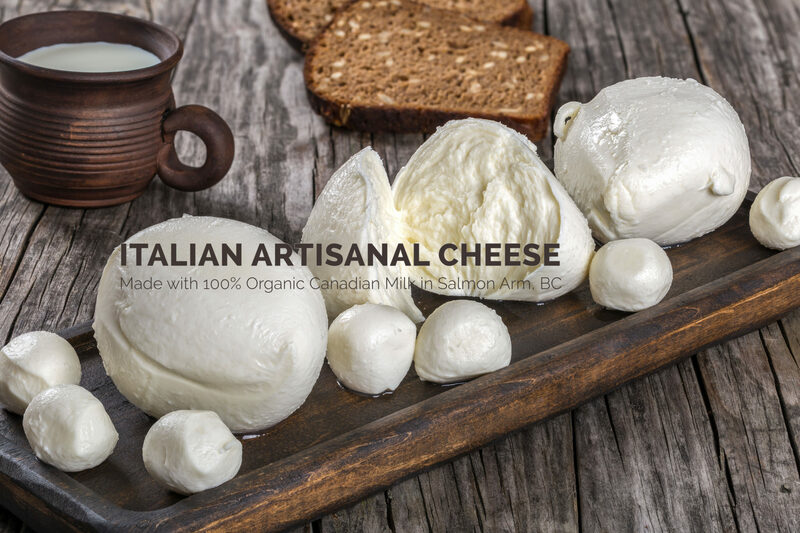 For more information about our Caciotta Cheese, visit our store today!